Straight razors might not have the sensual appeal its rivals have, but it’s cost-effective and provides a superior shaving experience especially if you desire a close-shave. The problem is millennials are finding it difficult making the most of the cut-throat razor. 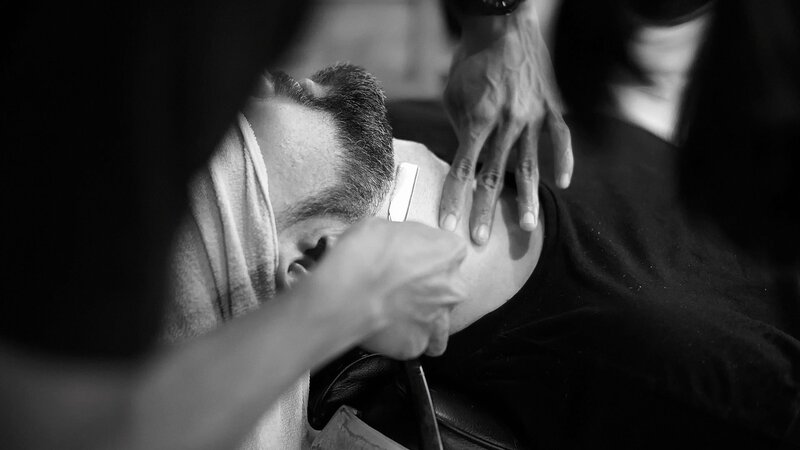 If you belong to this category of people having a hard time making the switch to a straight razor, here’s our guide to assist you to make it happen and with ease. Like every cutting tool, your straight razor is going to get blunt with use. Frankly, depending on where or whom you purchased it from, the blade of your razor might get to you, blunt. This can only be fixed using a honing platform. There are people who specialize in rendering this service, but having yours and learning to use it, gives you some additional benefits. It allows you hone your straight razor whenever the need arises. Your straight razor would neither last long enough regardless of its quality nor would it deliver a great shaving experience if stropping is not done regularly. A strop consists of a strip of leather and fabric against which you continuously rub the metallic blade of your razor for a short time. This singular act ensures the edge of your blade is ready for use on your face. Stropping also improves the condition of your razor by removing bits of rubbish. The process of stropping might feel tiresome to a beginner. However, with time you should get the hang of it. If you intend to use a straight razor, the quality of your shaving experience would be affected by your chosen shaving cream. There are different types of shaving creams on the market. Your choice could decide the end product of your shaving exercise. Don’t attempt to save money by going cheap. This will leave you sulking from a bitter experience. A brush might not seem like much, but it helps in the proper application of the shaving cream. Though you can improvise, having a brush would prove more helpful in enhancing the quality of your shaving experience. After prepping your razor for the task ahead, you should get your face ready as well. Usually, a shower should help. The idea is to ensure dirt and natural oils present on your face are washed off. This is where shampoos can prove quite useful but don’t forget to wash such off. It is important you don’t dry off your face for the purpose of a wet shaving experience. Your brush should be free from dirt and germs. Sterilizing it using hot water is one way to achieve that. Pour some of the shaving cream into your desired container and stir thoroughly. A well-mixed shaving cream will be in a paste form. Use your brush to apply the mixed cream to your face. For an easier shaving exercise, let the lather remain on your face for some time; but not too long. Your straight razor is more complicated than its appearance hints at. For you to make maximum use of it, you need to understand how to wield it. No, you don’t just hold it by the handle. Its handle is more of a case for the blade than an actual handle. Rather, there is a middle piece just between the blade and the handle called the tang. This part of the razor isn’t sharp and provides the support evidently lacking with the handle. You need to hold the razor in a manner so that the blade and handle are at an approximate right angle to each other. Don’t forget, the sharper edge should be on the outside. For a beginner, it is important you shave slowly. Don’t rush it! You need to learn to crawl before you walk. Applying pressure to the razor only increases the chances of you nicking yourself. You don’t want that. Instead, allow the sharp edge of your razor does the needful. One common mistake among beginners is the act of shaving against the grain. Injuries are more likely to happen when this is done. You should follow the direction of growth of your facial hairs during the initial phase of shaving. For a smoother shaving result, you might want to try the multiple passes approach. This consists of shaving in the direction of growth of your facial hair initially. Afterwards, you would go on to shave in the reverse direction. This would provide you with a smoother facial skin if done properly. It is a shaving blunder to just clean your face after shaving. You need to rinse your face. Water should be enough. But it doesn’t end there. An aftershave is important to prevent the formation of bumps and other skin reactions to shaving. Apply the cream generously for a pleasant experience. In conclusion, using a straight razor could provide you with the closest shave possible. It might appear complicated initially, but when done consistently you will find it an enjoyable exercise.